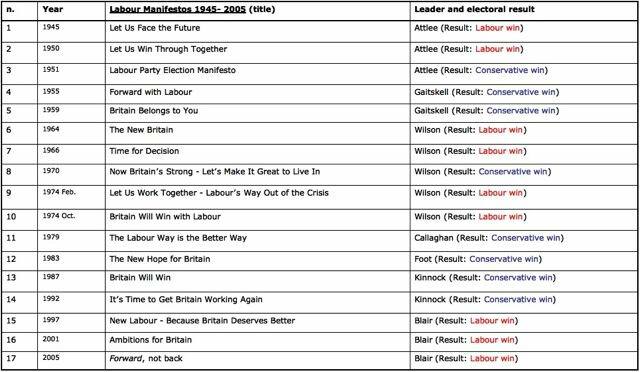 In these slides, we will see that some keywords belonging to the “Old” Labour Party are part of Labour’s political discourse throughout 30 years, at least from the end of the II WW up to 1974. 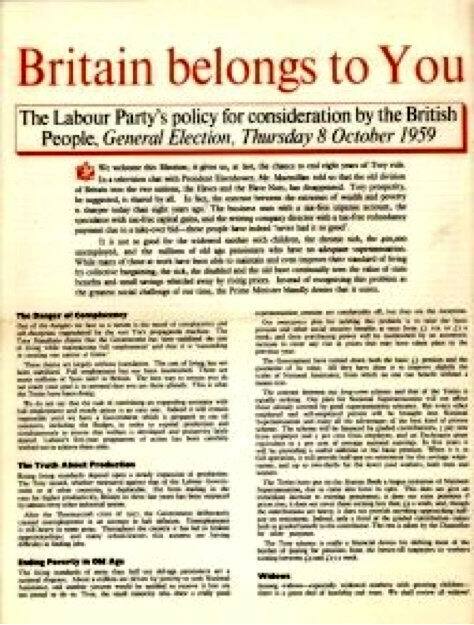 The words here selected – Socialism, public ownership and freedom/liberty – are examples of an ideological lexis which was consistently employed in Labour electoral manifestos. 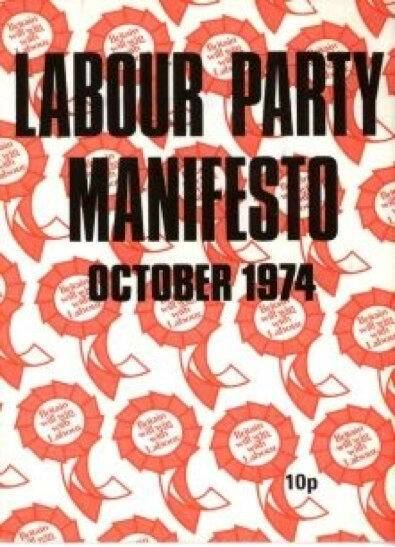 The terms socialism and socialist were used as an explicit reference to a specific segment of political thought, whose means and ends were assumed as shared by the main target of Labour communication, the British working class. Namely, public ownership and public control were the main devices to achieve the goal of an equal distribution of resources and wealth. In this span of time (1945-1974), the usage of the term freedom (a word basically rooted in the ideological code of Conservatives as individual freedom) is preferred to the usage of the term liberty, and is often intended as a collective and ‘quantified’ notion (freedom for all, national freedom, freedom of Trade Unions, freedom of peoples etc. ). A social dimension and a ‘referential’ meaning of freedom, rather than its abstract principle, are constantly highlighted and claimed as Labour values. The Labour Party is a Socialist Party, and proud of it. Its ultimate purpose at home is the establishment of the Socialist Commonwealth of Great Britain – free, democratic, efficient, progressive, public-spirited, its material resources organised in the service of the British people. Public ownership of iron and steel. Private monopoly has maintained high prices and kept inefficient high-cost plants in existence. Only if public ownership replaces private monopoly can the industry become efficient. The Labour Party stands for freedom – for freedom of worship, freedom of speech, freedom of the Press. The Labour Party will see to it that we keep and enlarge these freedoms, and that we enjoy again the personal civil liberties we have, of our own free will, sacrificed to win the war. 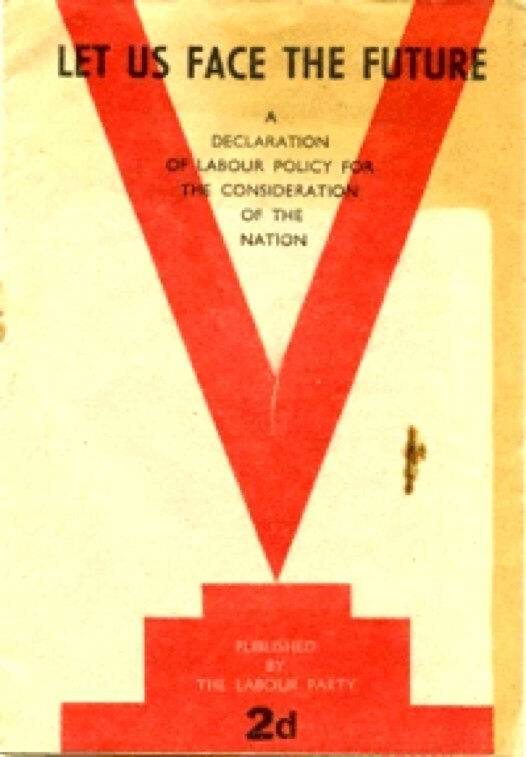 The freedom of the Trade Unions, denied by the Trade Disputes and Trade Unions Act, 1927, must also be restored. But there are certain so-called freedoms that Labour will not tolerate: freedom to exploit other people; freedom to pay poor wages and to push up prices for selfish profit; freedom to deprive the people of the means of living full, happy, healthy lives. During the last five years, under Labour leadership, Britain has regained her moral position in the Western world and has won the confidence of many millions in Africa and Asia. By applying the moral principles of Socialism to our relations with other peoples, the Labour Government has made Britain a symbol of justice and social advance. Socialism is not bread alone. Economic security and freedom from the enslaving material bonds of capitalism are not the final goals. They are means to the greater end – the evolution of a people more kindly, intelligent, free, co-operative, enterprising and rich in culture. Unless we continue to increase production as we have done in the last four years, we cannot improve or even maintain our present standard of life; the social services cannot advance or even survive; and our national freedom and independence cannot continue. The Tories’ main claim is that the nation is more prosperous as the result of their decision to scrap socialist planning and return to a free-for-all to suit big business. What are the facts? Industrial production – the key to prosperity – has gone up since they took office at only half the rate by which it rose while Labour was in power. Labour will ensure that the claims of investment and modernisation come first, and will use taxation policy to help productive investment – thus providing more efficient plant and equipment for the workers. Even the Tories have had to praise the nationalised industries for their high rate of in vestment and advances in technical efficiency. Public ownership of the steel and road haulage industries is essential to the nation’s needs and we shall re-nationalise them. We shall bring sections of the chemical and machine tools industries into public ownership. Where necessary, we shall start new public enterprises. Labour worked to transform the British Empire into a Commonwealth of free and equal peoples. We helped India, Pakistan, Ceylon and Burma to achieve their freedom; we encouraged West Africa to move rapidly towards self-government; and we began to tackle backwardness and poverty in South-East Asia through the Colombo Plan. Like our other social and economic policies, this pledge is based on the Socialist belief in the equal value of every human being. This is the belief which inspired the pioneers of Socialism, and still inspires the Labour Party, in the struggle for social justice and human rights. The work of our nationalised industries has been made much more difficult by the Tories. Big business and the Tory Party itself have invested huge sums in propaganda campaigns, designed to discredit the idea of public ownership. Many of the Government’s policies have, indeed, been activated by prejudice-for example, their transference of work from publicly owned railway workshops to private firms and the favouritism they have shown to private airlines. Socialist: We believe that the socialist axiom “From each according to his ability, to each according to his need” is not for home consumption only. As the past 13 years have shown, none of these aims will be achieved by leaving the economy to look after itself. They will only be secured by a deliberate and massive effort to modernise the economy; to change its structure and to develop with all possible speed the advanced technology and the new science-based industries with which our future lies. In short, they will only be achieved by socialist planning. Public ownership: The public sector will make a vital contribution to the national plan. We will have a co-ordinated policy for the major fuel industries. Major expansion programmes will be needed in the existing nationalised industries, and they will be encouraged, with the removal of the present restrictions placed upon them, to diversify and move into new fields : for example, the railways’ workshops will be free to seek export markets, and the National Coal Board to manufacture the machinery and equipment it needs. Private monopoly in steel will be replaced by public ownership and control. The water supply industry, most of which is already owned by the community, will be reorganised under full public ownership. Freedom / Liberty: Labour is concerned, too, with the problems of leisure in the age of automation and here again Labour firmly puts the freedom of the individual first. [...] And here, in this manifesto, is the answer to the Tory gibe that planning could involve a loss of individual liberty. Labour has resolved to humanise the whole administration of the state and to set up the new office of Parliamentary Commissioner with the right and duty to investigate and expose any misuse of government power as it affects the citizen. Socialists: (ii) Leasehold Enfranchisement – For years socialists have crusaded to redress the grievance of the leaseholder who loses his home without compensation when a long lease comes to an end. More thin one million house-owners will benefit from the Leasehold Enfranchisement Bill which we shall enact. to continue and develop policies introduced by the new Ministry of Technology for providing purposive financial assistance to key industries such as computers and machine tools. to use the various publicly financed research councils and the enlarged N.R.D.C. to sponsor and develop new science-based industries. to transfer the private steel monopoly into public ownership and to rationalise its structure. to rationalise the aircraft industry on the basis of public participation, taking into account the recent Plowden Report. In the world as it is today, Britain must maintain her defences and her firm commitment to NATO. It is true – and it is a truly Socialist shift in priorities – that we now spend more on education than on defence, and that in the near future the health and welfare service expenditure will also exceed defence spending. We never thought, or promised, that the job of ending poverty, at home as well as abroad, would be an easy one. But to do this job is part of our dedication as Socialists. We do not regard public initiative in industry as confined either to total private or total public ownership. Partnership ventures are sometimes a better solution – e.g. the Bus plant sited in the North of England, aluminium smelters, and the Scottish Transport Group. [...] We shall, therefore, in discussion with the building societies, work out new ways of extending home ownership; in particular we shall seek to reduce the amount that has to be paid in the initial deposit; through local authorities and in consultation with Building Societies we shall extend the system of 100 per cent mortgages, and seek to lighten the burden of repayment in the first few years of occupation. As interest rates generally turn down, we shall expect the building societies to follow suit. The aims set out in this manifesto are Socialist aims, and we are proud of the word. It is only by setting our aims high, even amid the hazards of our present economic situation, that the idealism and high intelligence, especially of our young people, can be enlisted. 8) In addition to our plans set out in point above for taking into common ownership land required for development, we shall substantially extend public enterprsise by taking mineral rights. We shall also take shipbuilding, shiprepairing and marine engineering, ports, the manufacture of airframes and aeroengines into public ownership and control. 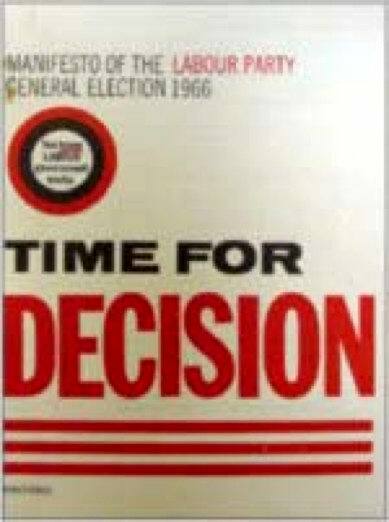 [...] But as it is proved that the Government is ready to act – against high prices, rents and other impositions falling most heavily on the low paid and on pensioners – so we believe that the trade unions voluntarily (which is the only way it can be done for any period in a free society), will co-operate to make the whole policy successful. Socialism / Socialist: But more than that. What we as democratic socialists maintain is that when the going is toughest it is more than ever necessary to base our policies on social justice, to protect the weak, the poor, the disabled, to help those least able to help themselves, and to maintain and improve their living standards [...] We are a democratic socialist party and our objective is to bring about a fundamental and irreversible shift in the balance of wealth and power in favour of working people and their families. Public ownership: The Government have published plans for the public ownership of development land which will get rid of the major inflationary element in the cost of building; for public control and participation in North Sea oil; for greater accountability and the extension of public ownership in industry; for beginning the redistribution of wealth by new taxation on the better-off – while at the other end of the scale a million and a half people have been taken out of liability to any income tax. Free: Everybody is entitled to a decent home at a price they can afford. This cannot be achieved in a free-for-all market, which has resulted in homelessness, over-crowding and squalor for thousands of our people.